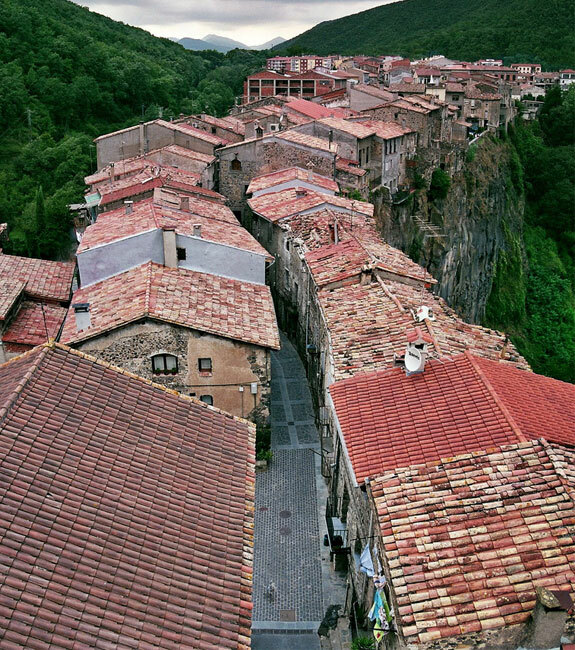 Castellfollit de la Roca, in the Catalonia region in the middle of Spain, has a doubly impressive location—this 1,000 person village is perched on a spit of land with cliffs on both sides. The village gets a steady flow of tourists during the day, which is exactly why you should spend the night here. On warm evenings it is blissful sitting out with a nice drink on a cliff-side terrace in Castellfollit de la Roca looking out over the Catalonian countryside. For overnights there’s one only choice of hotel: the Pensión Ca la Paula (#3 Plaça de Sant Roc, tel. 972 29 40 32, no website at the time of writing). 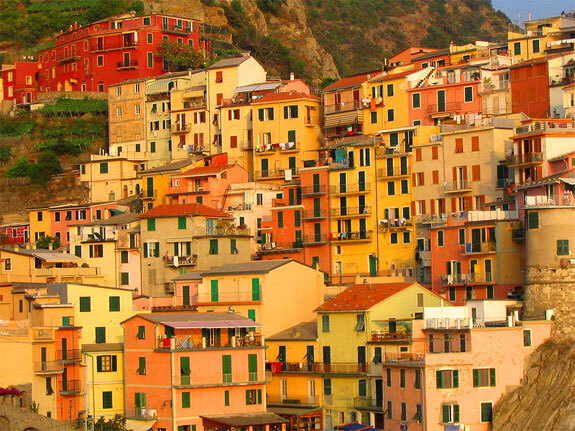 The uber-colorful Italian village of Manarola is not the most precariously placed cliff-side settlement of the five in this review. This is fortunate considering the amount of wine produced—and consumed—here. The local specialty is Sciacchetrà, a sweet dessert wine that tastes of honey and apricots. 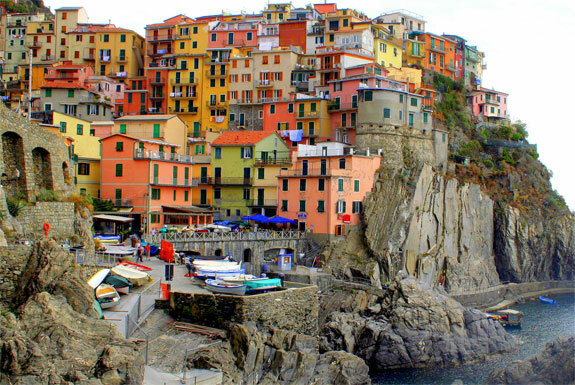 Manarola is one of five villages in the Cinque Terre area of the Italian Riviera. The other four villages, not incidentally, have rather cool cliff-side locations as well. Yemen is one of Spot Cool Stuff’s favorite travel countries (though, sadly, these days the security situation there for travelers is spotty). 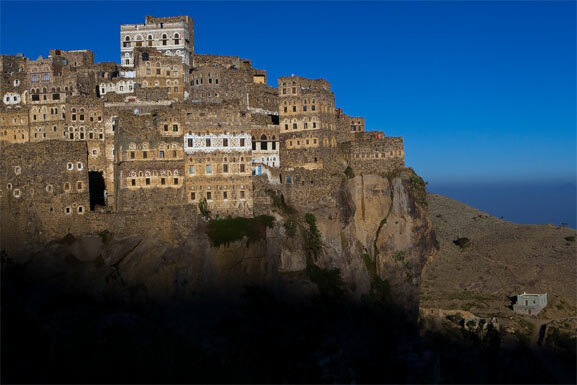 In the western part of the country lie the Haraz mountains and the village of Al Hajjarah. The fortified clifftop center of the village was originally built by the Ottomans in the 11th century, partly for military purposes and partly to serve as a Muslim enclave for what was then a mostly Jewish village. Today, Al Hajjarah makes for a striking trekking destination. Or you can travel here from San’a in about 3 hours by shared taxi via Manakhan. 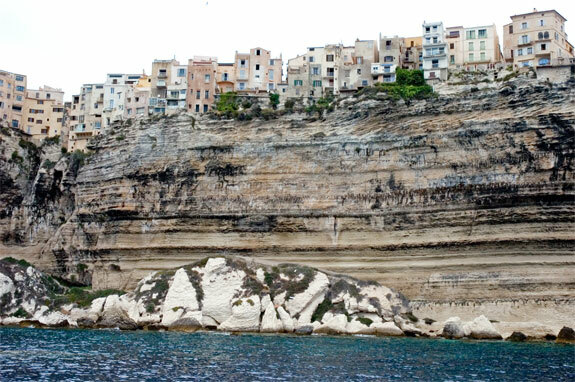 Many of the planet’s cliff-side towns were originally built in their location for some military reason. 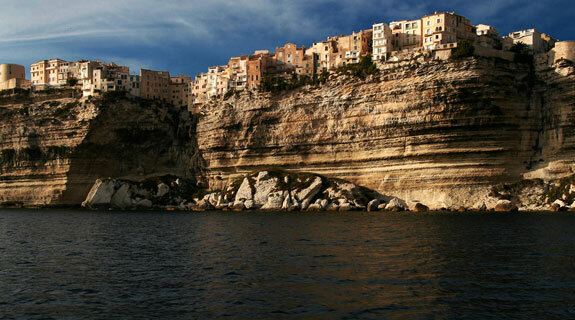 Such is the case with Bonifacio, which sits at the southern tip of the French island of Corsica. The town’s position, strung out along white limestone cliffs, not only overlooks one of the island’s best harbors but also the strategically significant straight that separates Corsica from rival island Sardinia. 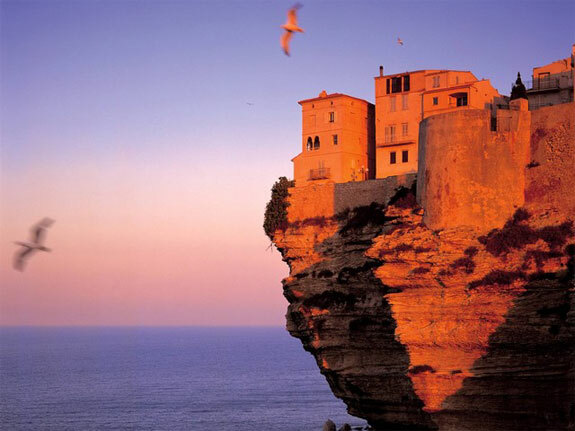 More recently tourism has been the force driving Bonifaciens to built holiday homes and B&Bs on the cliff’s edge where the view out across the Mediterranean Sea rather spectacular. 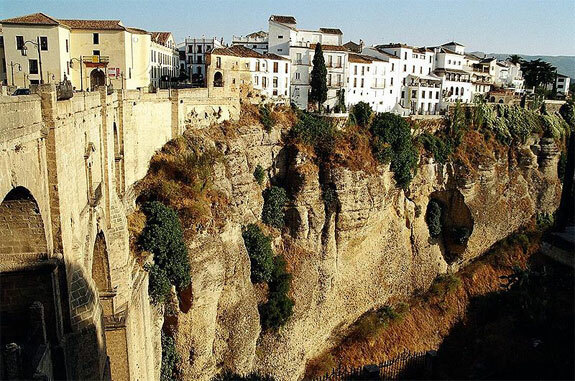 Ronda does not sit upon one strategically significant hilltop in the Andalusia region of Spain. It sits upon two hilltops, only 68 meters (223 feet) apart but separated by the 120 meter (400 feet) deep El Tajo Gorge. 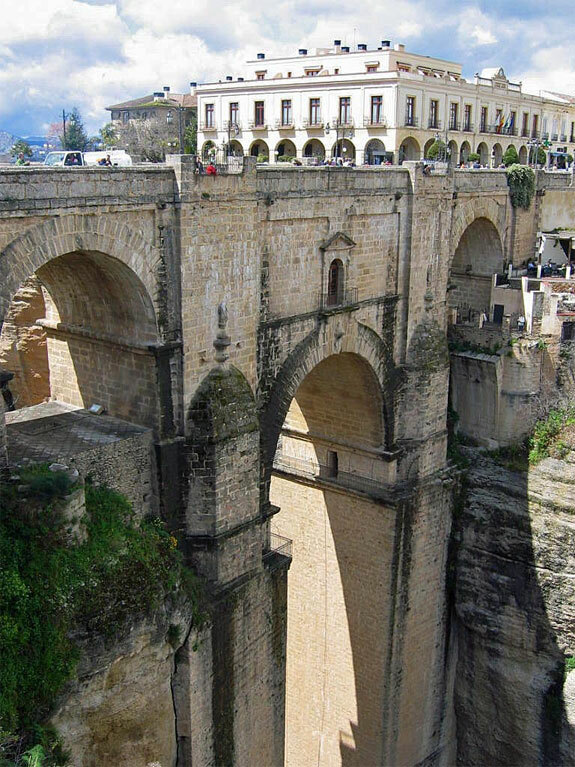 Ever since the Celts first built Ronda it has been an issue how to bridge the two sections of town. The current bridge, called the Puente Nuevo (“new bridge”), took 42 years to build and was finally completed in 1793. (For North American travelers one of Spain’s endearing qualities is that a structure over 200 years old can be called “new”). The bridge is almost as amazing as Ronda’s cliff-side setting; the interior of the structure was used as a prison and torture chamber during the Spanish Civil War and is today a museum. As for the town of Ronda, it is the birthplace of modern bullfighting and claims both Orson Welles and Ernest Hemingway among its former residents. But you won’t care about that when you are standing at the town’s edge gazing out over the long drop down. Rocky cliffs, sounds like my place to be! Definitely cool, all of them, as are many other incredible places in Spain. i would not want to walk home drunk in any of these towns! Wonderful shots. I love these places! Yes, fab selection. Ronda is cool, one of my top listed Spanish towns. 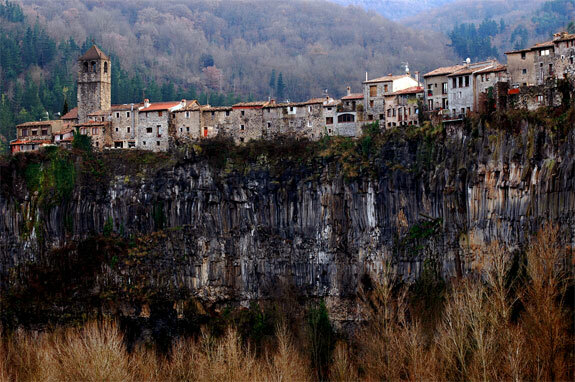 Castellfollit de la Roca is definitely on my must-see now thanks. But Catalonia is near the French border not really in the middle of Spain. All the five places are amazing however, Castellfollit de la Roca in Spain and Bonifacio in France are my favorite to visit! I think Moustiers Sainte Marie in France should have been on the list! All are really interesting places. Love these pictures! Thanks for putting together the list. This is very cool. 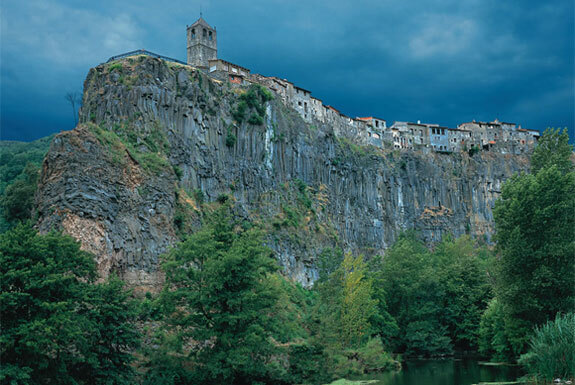 I have been to Ronda in Spain but have never heard of Castellfollit de la Roca. This is definitely a place that I want to see. Great pics of all these places. nomadic translator recently posted..Playa Del Carmen nightclubs: La gente esta muy LOCA…WTF? I lived in Madrid Spain and visited Ronda. Its a wonderful town with beautiful views of the surrounding countryside. We stayed in a hotel that was incredible cheap but still very nice. I consider Ronda to be in my top 5 towns in Europe. I was in Ronda yesterday!! Words cannot describe the beauty… Andalucia is spectacular. This is amazing. Now I have added 5 more places to see before I die. 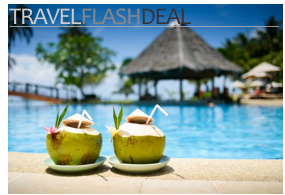 I better get crackin because spotcoolstuff just keeps showing me better and better destinations! Love these pictures! Thanks for putting together the list. I’m happy to say I’ve even visited several on the list – will have to put some others on the ‘someday’ tally. 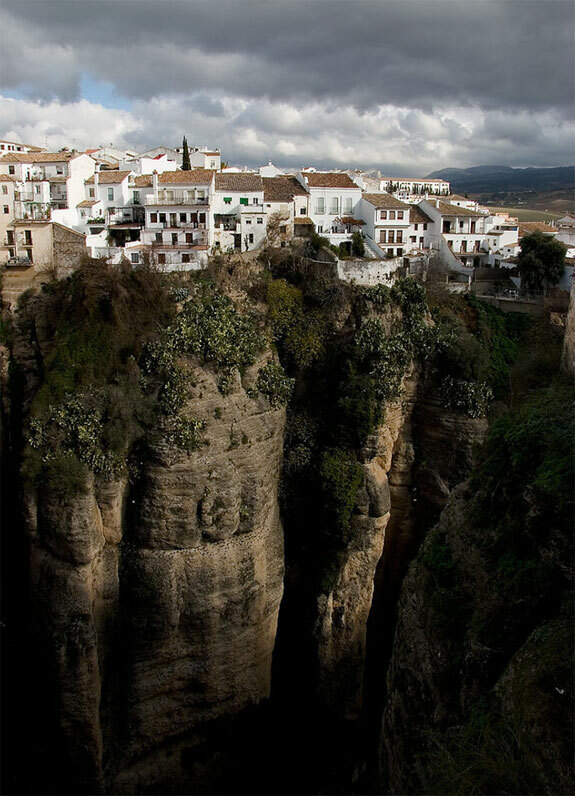 Tremendous photos, especially the first one of Ronda – that really shows how massive the cliffs are. Hey Abi. That’s great. Let us know how your visit went. Wonderful pics. Thanks for sharing. Such interesting places and awesome photos. 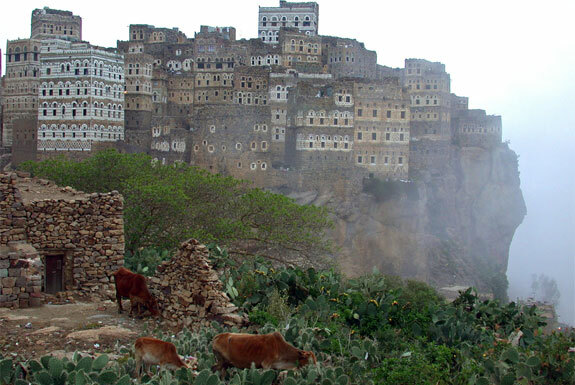 I’ve never seen that village in Yemen before. Amazing. That’s a fantastic post with some stunning pics. Well done! I’ve been to three of them: Manarola, Castellfollit & Bonifacio. Loved them all. I thought the vineyards planted along the cliffsides in Manarola were fascinating. Because of the steep cliffsides, they’d invented a whole system of vertical rails and trolleys to care for the vines and pluck the grapes. Very cool! From your blog seem like the sort of guy who would have been to some of these. Thanks for sharing your account. I’ve been to Ronda, Spain several times and it is a neat place. The town is on the top of the cliff. The view from the edges of the cliff are spectacular. Some spots look down into a ravine and other spots offers views of the countryside. Wonderful shots. I love these places, they are so dramatic and I think life there is just that extra special. INCREDIBLE! 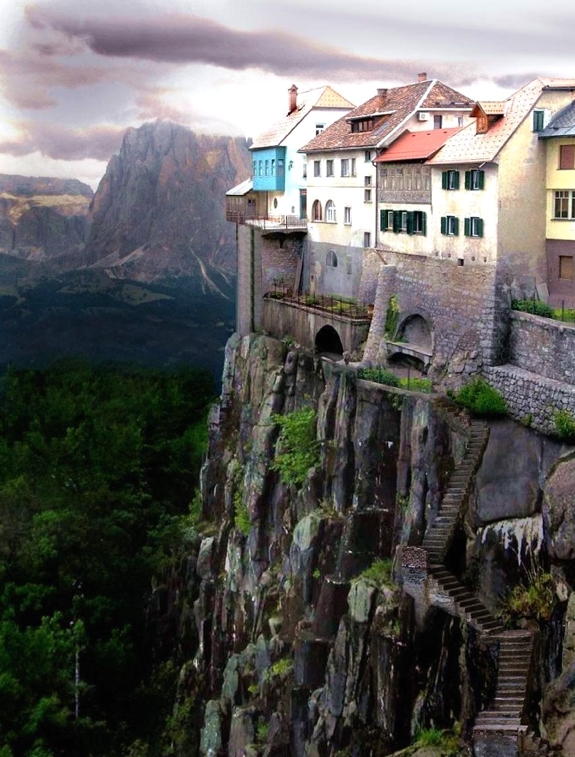 i think i would be too freaked out to live there, though. heights do me in. what GREAT photos – thanks for sharing! love the colors. You really do find cool places! I think Castellfollit is my fav. Loved reading this. There are so many others, but this little selection was just right.